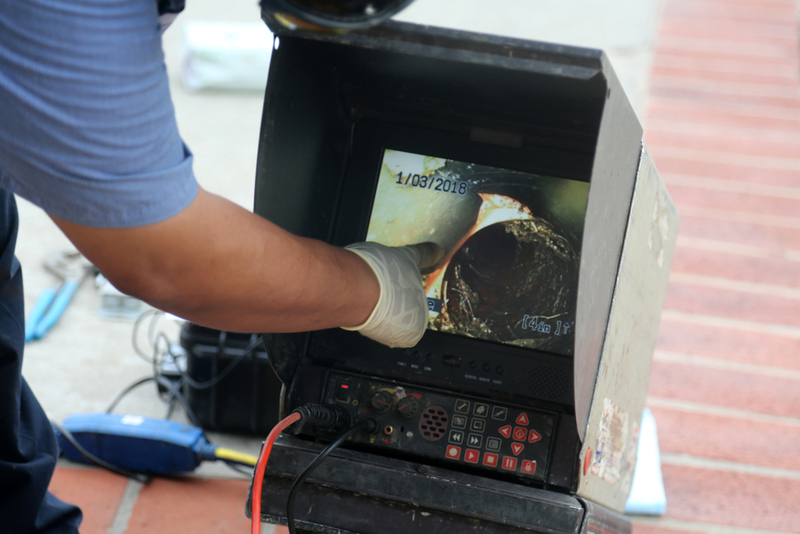 A sewer video camera is a great tool for any plumbing company to have so that you can get a clear picture of what may be going on down in your drains and sewer line. Trident Plumbing and Drain Cleaning can help whenever you are in need of a professional sewer video inspection service in Woodway and the surrounding area. Not only do we have this technology ready to use, but we also have a team of trained and certified plumbing technicians to get the job done. There may come a time when you start to notice that the drains in your home are much slower than usual. If you notice this happening in multiple drains or you have foul odors coming from the shower, tub, or sink drains, this could be an indication that there is a much bigger problem going on down in your sewer line. If you let something like this go for too long, you could experience a sewage backup into your home or your sewer line could burst. Either way, there will be hazardous waste that infiltrates your life and this can be a messy and costly issue to address. Once you contact us for sewer video inspection services, we can have a technician come out to learn more about your drain issues. We can then deploy our camera inspection technology to get down to the heart of the issue for further investigation of the type and location of the blockage. If there are roots or other debris in the line, we can use jetting technology for high-pressure water to clear the line out. If you are interested in sewer video inspection service in Woodway, contact us today at Trident Plumbing and Drain Cleaning. Call (425) 321-6043!